Brighton is a popular seaside city, with beautiful Georgian architecture, great beaches and trendy shops. Located on the campus of well- known University of Sussex, this centre only a few miles from Brighton and set in large grounds great for outdoor activities. 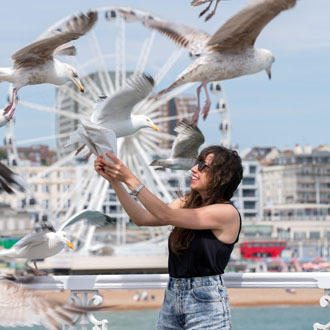 Embassy Summer Brighton offers mostly single en-suite rooms in comfortable accommodation buildings and modern teaching facilities.